Do you know what to measure? How to find and analyze social data that'll enable you to make smart business decisions? Having a social media analytics strategy will help you identify trends, sentiment, new opportunities, potential crises. You'll understand what's working and what isn't. This guide is the difference between rocking your social media presence, or crashing into the wall. Show me how to report social media analytics! On completion of your social media analysis, you'll need to create reports. Showing your results, justifying your budget, etc. Translating social analysis into understandable results doesn't have to be a pain. Above, you can download three simulated Talkwalker social media analysis reports. They're visual, comprehensive reports that will be understood across the board. Take a look! This guide will give you everything you need for comprehensive social media analytics. Why you need a process in place, what it is, how it works, and how it can be integrated with other software. Plus, real-life brands who've got it sussed. Talkwalker social media analytics platform - competitive benchmarking. You want your brand to survive against the competition, right? This is THE marketing resource you have to have. "Whether you're a newbie marketer or a seasoned vet, this guide from Talkwalker will definitely help improve your social media analytics knowledge. It doesn't get more indepth than this!" Why should I use social media analytics? How does social media analytics work? How should I use social media analytics? Which networks can be monitored & what metrics can be tracked? What does social media analytics provide for benchmarking & reporting? What free social media analytics tools are available? Every time you post on social media, social data will be generated. Data created by consumers - comments, sentiment, likes, shares, retweets, etc. Data that will help steer your social media marketing campaigns to big wins. Social media analytics gives you access to one of the world's largest focus groups, where consumers talk about new products, brands, bad customer service, good customer service, your competitors. When are they online? Pointless posting if they're snoozing. Should you be posting in multiple languages? What are their interests? Could you target your content to be more relevant? Customer segmentation helps you create targeted campaigns. Where's your target audience online? Which social media platforms do they favor? If you're posting on Twitter but your target audience uses Facebook... duh! Choose a social platform that suits your product. A visually attractive product - automobiles, fashion labels, beauty products, food - will work well on an image-based network like Instagram. Understand your social media performance using the platforms' inbuilt analytics tools. If you want to identify how your brand is being received and discussed across the Internet - globally - you'll need to use a social media analytics platform such as Talkwalker. This will also confirm which platform works best for your brand - engagement, site traffic, sales. Analyze competitors' data to find what's working and what isn't. Replicate their successes, avoid their pitfalls. Take a look at my competitor analysis guide, for more detailed information on competitive benchmarking. Identify the content that's driving results to inspire future campaigns. What resonates with your audience - text, links, images, videos? Understand how your brand is being seen across social networks, blogs, and forums. A good social media analytics platform will let you integrate media monitoring data with social media analytics data. Image recognition will show you how brand assets such as your logo are being used online. Up to 80% of images online featuring a brand logo, don't mention the brand name in the text. Image recognition will give you the big picture of your brand visibility in photos and images. Identify potential misuse/trademark infringement of your logo, tagline, etc. Talkwalker's proprietary image recognition technology will identify logos, objects, and scenes, even if the brand name isn't mentioned. Monitor social campaigns once launched to check that they're working, or not. Are there improvements you could make? Is it bringing the results you expected? Should it be stopped? Use sentiment analysis to find how consumers feel about your campaigns, brand, and products. Take a look at my sentiment analysis guide, for more detailed information on competitive benchmarking. It's all very well being on social media, but you need to be creating content that inspires people. Educates, engages, and converts them. How do you know whether your posts are working or not? Social media analytics is the process of collecting hidden insights from social data - structured and unstructured - to enable informed decision making. It can also analyze online media channels such as news websites, blogs, and forums. Social media analytics tools use crawlers - similar to Google - to collect public information from across the Internet. First, a user enters a search query. The platform will then find every instance of this query across the Internet. This would include social media channels such as Twitter, Instagram and Facebook. News websites, blogs, forum, and review sites. Some social media analytics platforms will allow scanning of gated databases such as online academic journals and databases of offline content. This will depend on the restrictions or partnerships the platform has. An advanced platform like Talkwalker, will analyze images shared online - image recognition. This pioneering AI-powered technology will recognize brand logos, scenes, and objects within an image. Check out our report on image recognition and social media analytics for more details. Crawlers loaded up with information. It's time to get organized. Next, it's time for some analytics. Your information has been collected and filtered. Next up are data visualizations to help users of the platform process the information. The above graph shows the number of times a particular brand or keyword has been mentioned on each media channel - left - and the share of mentions across these different media types - right. Or, more complex visualizations such as the virality map below, which shows how a post, article or blog spreads across the internet. Talkwalker virality map showing how content spreads online. Topic clouds that show terms linked to a particular keyword are also common, with various ways to display the results - emoji clouds, hashtag clouds, graphs, and word clouds. I've touched on the key analytics/metrics available. Check out comprehensive social data metrics guide for more details. To get maximum value out of social media analytics, the results can be compared with other business metrics including website conversion, sales figures, polling numbers, depending on how you plan to use this data. There are several ways social media analytics can be used, depending on what you want to track and measure. Take a look at how these brands are using the Talkwalker social media analytics platform. Mentions - how often a particular word, phrase or sentence is mentioned across social media and online. Engagement - how much engagement a post or a post surrounding a particular keyword receives - retweets/likes on Twitter, likes/shares/comments on Facebook, likes/comments on Instagram, shares of news and blog articles on social media. Sentiment - sentiment towards your brand, industry, social page, or competitors. Virality – the speed at which a post is being shared and how it's spreading online. Visual mentions – the number of times brand logos appear in images and photos posted online and on social. Share of voice – the proportion of discussion online about your brand, a trend or topics compared to similar topics. Example of share of discussion of complaints from airline customers on social media. "This is a solid guide to social media analytics that explains the technical aspects in an easy to understand form. It not only explains what social media analytics is but also shows you how you can use it in your organization by listing tools that are free to use. I like the fact that they cover most major social media platforms and make it as visual as possible." Okay, now I'm going to talk about the different social media networks and online channels that you can monitor with a comprehensive social media analytics platform. And which social media metrics you can track on each social network. Which networks can I track with a social media analytics tool? Most dedicated social media analytics tools are able to crawl many different types of site, including forums, news sites, blogs, review sites, and more. Plus, the major social media networks such as Facebook, Twitter, Instagram, YouTube, etc. 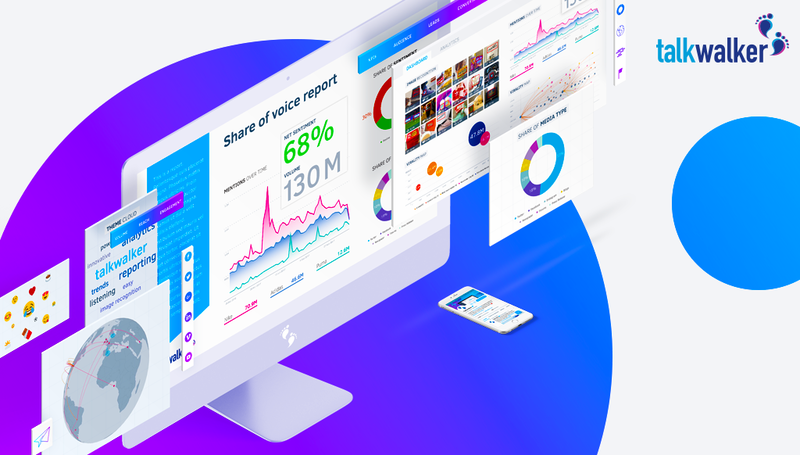 The Talkwalker analytics platform is able to track the majority of social networks including Twitter, Facebook, Instagram, YouTube, LinkedIn, Mixcloud, Flickr, Foursquare, Soundcloud, Vimeo. Plus, magazines, news agencies, newspapers, press releases, TV, radio, review sites, online news, blogs, and forum. What engagement metrics are available for each social network? The metrics you can track depends on the social media measuring tools you’re using. You can use the inbuilt analytics tools that most social media platforms provide, but they can be limiting, and the metrics you can retrieve vary between social networks. Choosing one social media analytics tool to track all your social networks simultaneously, will be way more efficient and bring more valuable results. Here's an overview of the major social media networks’ inbuilt analytics tools. You’ll find a general overview of your Facebook page that covers your audience and the performance of your posts. Data can be taken from one day, the previous seven days, or the last 28 days. Drill-down further, and you'll reveal more high-level stats. Likes – choose a time period and view your total page likes, including organic, paid, and unlikes. Where page likes happened – where your likes are coming from. When a user likes a page, Facebook recommends other pages to like. Reach – post engagement over time will help you find out what content performs well. Page views – you can learn which parts of your page are working and which are not, such as About, Photos, Home, etc. You’ll also discover where your traffic is coming from. Posts – identify how many fans viewed your page each day and what time of day they were online. People – learn your fans’ demographic, including location, men vs women, and language. Updates – who the post was sent to, sponsored or not, and how many times updates are shown to members, clicks on content, company name, or logo. The number of likes, comments, and shares of each update. Followers you gained. And, engagement - the number of interactions plus clicks and followers acquired, divided by the number of impressions. Reach – trend on how many times your updates were seen organically and paid, on a daily basis. Engagement – number of times members clicked, liked, commented, or shared your organic or sponsored posts, during a specified time period. Type – total number of members following your page plus, organic and acquired followers. Follower demographics – breakdown of your followers in types of data including seniority, industry, job function, company size. Follower trends – how the number of your followers has changed over a specified time period. How you compare – the number of your followers compared to other companies. Page views – how many times your page was viewed. Career page clicks – how many times viewers clicked the element of your careers’ page. Unique visitors – how many members visited your page. Similar to page views, but removes duplicate visits to a single page. Visitor demographics – a breakdown of who’s visiting your page based on follower demographics. Followers – how many people following your account. Impressions – how many times your tweets are seen. Engagements – retweets, mentions, replies, favourites, any other interactions. The first level of analytics is an overview of your activity over the last 28 days. Continue scrolling down the page and you’ll find the previous 28 days with the same stats. Now you've got a comparison. It’s an endless page - don't give up - keep scrolling and you'll find more information. There's also detailed information about your followers including language, interests, household income, buying habits, and more. With YouTube Channel Analytics, you can monitor the performance of your channel and videos, find where your traffic is coming from, and find which locations work best for your brand. There are also earnings reports showing which of your ads are successfully driving revenue. Audience retention graphs display which elements of your videos are working and which aren’t. Hey, you can even see if a viewer rewinds and re-watches a video, fast-forwards, or bounces away. Overview gives you a detailed summary of how your brand messages have been performing for the last 28 days. You can check out demographic data about your audience and a take a snapshot of your performance metrics. Including watch time, views, and earnings. The engagement metrics include comments, shares, likes, dislikes, and favorites. With the Realtime report you'll find the performance data for your last five published videos. There will be two graphs with hour-by-hour and minute-by-minute stats - referring to the local time zone of the person viewing your video. There's a heap more information you can find in YouTube. Here'sa quick look at some of the sections. Earnings report – all analytics linked to earnings related to your YouTube channel. Ad performance report – impressions and revenue from ads aired on your YouTube videos. Watch time report – detailed breakdown of audience behavior and activity when watching a video. Pinterest Analytics shows you what people like about your profile and what they choose to save from your website. There's also data about your audience - likes and dislikes, etc. Pins – daily average number of pins that happened from your website. Pinners – daily average number of people who pinned from your website. Repins – daily average number of how many times content from your site was repinned. Repinners – daily average number of how many people did the repining. Impressions – daily average number of times your pins showed up in main and board feeds, or was in search results. Reach – daily average number of people who saw your pins. Clicks – daily average number of clicks to your website that came from Pinterest. Visitors – daily average number of people who visited your website from Pinterest. Most recent – the most recent 100 pins from your website. Most repinned – you can choose either one specific day, the last seven days, or the last 14 days. You’ll be shown the 100 most repinned pins in your chosen time period. Most clicked – you can choose either one specific day, the last seven days, or the last 14 days. You’ll be able to see what pins or images are driving the most traffic. Instagram Analytics provides data about who your followers are, when they’re online, and how many users looked at your posts. Location can be by country, or narrowed down to city. Time zone information is useful so you know what time it's best to post your content. Gender and age shows how many followers you have, plus new ones gained. View data on impressions, reach, website clicks, and follower activity. Impressions are the total number of times all your posts have been seen. Reach is the number of unique accounts that have seen any of your posts. Website clicks are the number of accounts that have clicked on the link in your profile. Follower activity shows you the most popular times of day that your followers are online and commenting. You can view by hours or days, and sort by a typical day or by a day of the week. New followers can also be tracked hourly and daily. You can sort by the most popular posts for each of the above Insight categories, over a 7-day or 30-day period. "Talkwalker's social media analytics guide hits the nail on the ROI when it comes to taking the mystery out of social media measurement. I'm assigning this guide as required reading to my social media management class at University of Florida, but it should be required reading for all marketing professionals and entrepreneurs. The biggest mistake I see public relations and social media pros making is that they are not measuring what matters. They spend wasted time creating reports that don't match the business goals and therefore never even get read. Brands small and large desperately need this guidance." What does a dedicated social media analytics platform offer? Yes, social media platforms do offer analytics of their own network - some more than others. But there are reasons why you have to use a social media analytics platform. Inbuilt social media analytics tools usually only look at accounts that belong to you. A social media analysis tool such as Talkwalker, allows you to monitor most public social channels as if they were your own. If you own several social media accounts, trawling through each inbuilt analytics tool is time-consuming. No question. Comparison of stats is hard work, not 100% accurate, frustrating, and time consuming. Watch your competitors with competitive benchmarking – find when and what they’re posting. The followers they've gained, engagement, customer responses and interactions. Custom dashboards – build your own dashboards and watch all your accounts and those of your competitors. Central analytics dashboard – save time, money, and stress with one dashboard showing stats and metrics for all your social media accounts. Metrics can include performance tracking, ROI, ad performance, comparison graphs, twitter hashtag analytics, and campaign monitoring. It'll be so much easier to see patterns that would otherwise be hard to find if using separate social media analytics tools. Customer care/support – track and optimize customer service interactions. Monitor customer issues, recruitment, etc. Downloadable reports – share reports across your company, so everyone is on the same page. Content optimization – track content metrics for insights into what content is generating most engagement. Are you posting the right content on the wrong social network? Are you posting at the wrong time, on the wrong day? Using a single social media analytics tool and monitoring all your social networks simultaneously, you’ll find patterns and be able to measure data that help answer these questions and more. Identify influencers – finding the accounts and people that engage with your content most frequently means you can reach out and build relationships with influencers in your industry. If you are looking to track multiple social media accounts simultaneously, a specialist social media analytics platform will save you time and provide you with more valuable and detailed data. 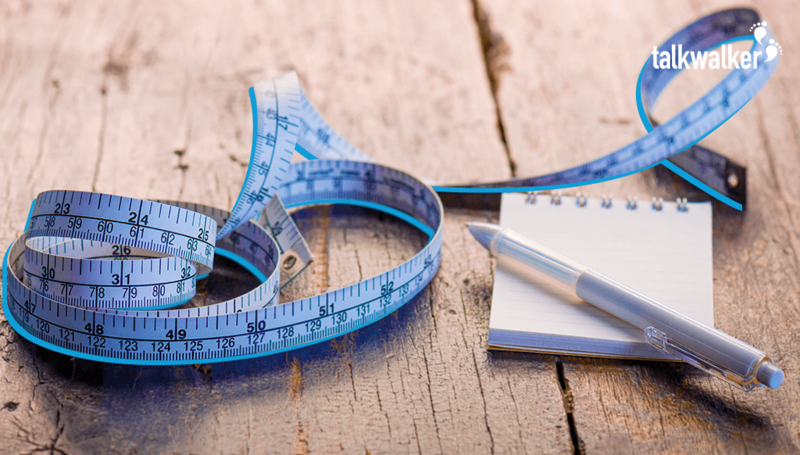 Social media analytics is all about measurement. Measuring the performance of your social channels, your marketing campaigns, your PR activity. Also, measuring the performance of your competitors and other brands. If you're going to measure - and you seriously have to - you have to report results. Did you reach your goals? How will you show the impact of your social media activities in a clear and concise way? The next section of my guide will show you exactly how social media analytics is going to help. Can I benchmark my social media performance against my competitors? Oh yes. It’s vital that you do. How they’re positioning their products on the market. How their audience is reacting and commenting. Metrics that'll help you better position your products and services - exploiting gaps in the market. Their audience segmentation. Is it a segment that you can target? Example of competitive benchmarking on social media between activities of major airlines. Can I use a social media analytics tool for reporting? Yes, using a dedicated social media analytics tool offering customizable dashboards means that you’ll be able to show all the important data and stats to prove your social media ROI. It’s important to decide what you want to report and how you'd like it to be presented. What's the purpose of your social media report? Identify your goals, and what you’re trying to show. You can produce a regular report to demonstrate your brand awareness campaign, or your competitors’ performance. With this information, you can optimize your content according to what’s working for your competitors and what isn't. The success and/or failure of product launches and marketing campaigns/events should also be monitored. Example of a simple reporting template with multiple output options. How do you plan to use social media analytics? For measuring social performance, PR monitoring, product insights? All these and more. If you don't know what you need your tools to do, you won't be able to select the best features or price. What's the scale of your needs? Do you want to use social media analytics across your business in multiple departments? 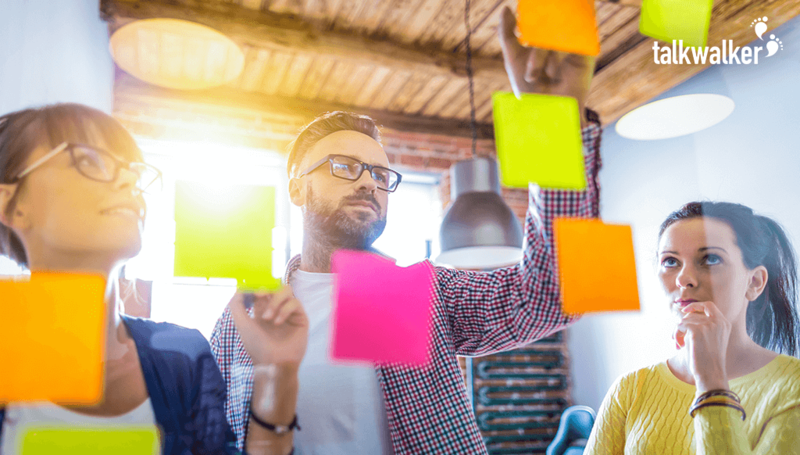 Will you be using it within your marketing team? Will you be looking for terms that generate vast quantities of results (e.g. smartphone), or will you be looking at more targeted words and phrases? Do you need to monitor two topics or 50? Do you need data from a wide variety of sources or is sample data enough? These questions can be hard to answer without having seen a demo of several platforms. What features do you you need? Do you need a platform with comprehensive filtering and search query creation options (Boolean operators)? Typically, you'll need this if you plan to go beyond analyzing brand/competitor mentions. Do you want to be able to analyze images as well as text? Are you looking to integrate other data sources such as broadcast or print media? What level of customer support do you need? Do you need to be able to create reports quickly and without hassle? Let's talk money! You can only get to this stage, if you've determined the previous three points. Hand over your cash too soon, and you'll have to buy another social media analytics tool further down the line. It sounds obvious - I'm gonna say it anyway - low cost tools usually bring fewer features, lower data volume/quality and less customer support. Firstly, it’s important to remember that free tools almost always use sample data so it's unlikely they can provide the level of coverage needed for comprehensive analysis of social media, websites, blogs, etc. On the other hand, they're great for getting a feel for what kind of data is available and learning how to find the data you need. Talkwalker’s Free Social Search gives you unlimited searches so you can try different ways of searching to narrow down what you're looking for. This tutorial on creating search queries for social media analytics will give you a good basis. If you’re looking for a tool that'll send you an email each time a brand or keyword is mentioned, give Talkwalker Alerts - our Google Alerts alternative - a try. Set up you alerts in 10 seconds - enter your keyword, frequency, language, and result type. Et voila! Chances are, you'll have to use several types of tools and platforms in order to manage your social media analytics needs. For instance, social media management platforms like Hootsuite or Google Analytics for website traffic analysis. For more advanced data analysis, there are also platforms like Tableau, for creating specific data visualizations. It's vital that your social media analytics platform provides easy options for integration. To get value from data and social media, you need to be able to connect and correlate your activities. Otherwise you'll waste time exporting your data between multiple platforms instead of actually monitoring, analyzing, and acting on insights. Yes, this makes seriously tempting to choose an all-in-one solution but, as technology research specialists Forrester point out, it's risky. You could end up with a solution that's a Jack of all trades, but master of none. Some may say I'm biased, considering where I work. And they'd be right. Take a look at the following brands who are using social media analytics to improve their business. Challenge – creating a multi-channel marketing strategy that resonates with coffee lovers. Solution – Nescafé Dolce Gusto and digital agency Lion & Lion used social media analytics to first conduct comprehensive market research into the coffee lover community online. They then used these insights to design a marketing campaign that resonated with the tastes, needs, and aesthetics of this caffeine-fueled community. Result – with this new data-backed campaign, Nescafé Dolce Gusto increased its Instagram audience by 500% and quadrupled engagement on both Facebook and Instagram. Challenge – Pinpointing potential threats and crisis risks from within online and social media chatter. Solution – Deutsche Telekom integrated live social listening into their crisis response systems so it could track usage of sensitive keywords and phrases in relation to its brand, products and services and react immediately. Result - Using real-time social media analytics, Deutsche Telekom can identify issues before they reach crisis level, and quickly share insights with other relevant teams. "Talkwalker is like the godfather of Social Media Analytics and probably one of the most advanced and comprehensive tools on the market. As a marketing professional one of the most common challenges I face is trying to convince budget holders that social media is worth investment. I spend ages trying to identify impact on sales and conversions. Talkwalker allows you to easily identify correlations to business metrics such as web conversions and sales. The image recognition is a great feature too - really handy when tracking social reach through visual representation." Despite the misleading name, social media analytics platforms let you monitor and analyze more than the data on social media channels. Talkwalker, for example, covers over 150 million websites from around the world as well as a huge range of blogs and forum. Meaning you can find all the mentions of your brand across a whole heap of websites. Note - depending on the social network, analytics platforms may have less access to their data as this depends on the API access the network provides. As a general rule, social media analytics platforms can't monitor private data. This includes non-public Facebook and Instagram pages for example, as well as social messaging apps. Talkwalker only monitors data that's publicly visible to us all. Whether posts on Twitter or online news. What you'd be able to do is add your own private data into a project if you'd like to see how it compares with social data. Social media analytics is great for social media managers but they're not the only ones who can benefit. Social media analytics is also used by PR and communications professionals to measure the impact and ROI of their campaigns. Product managers can use it to collect unsolicited feedback about new and existing products. It’s used by news media to identify trending stories. Political groups will have a better understanding of the messages that are resonating with voters. Social media analytics allows companies and organizations to get an understanding of what people think about almost any topic. That’s why the potential for use cases is so vast. "This guide does a great job of demystifying a complex topic and helping businesses understand how to navigate social media analytics from the ground up. It's both comprehensive and accessible." The Complete guide to social media analytics. If you'd like to know more, or have any questions, don't hesitate to get in touch. Meanwhile, once you've completed your social media analysis, you'll need to create reports. To demonstrate how cool your reports can look - you can download three simulated Talkwalker social media reporting templates. 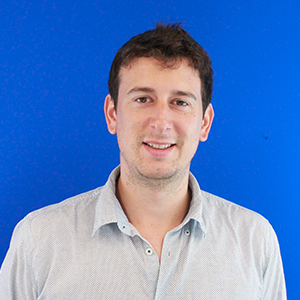 François is a creative person who loves sharing what he learns. His favorite topics are SEO, SEA and SMA. He loves to laugh and to make jokes and he can't start the day without a cup of strong coffee.